Photo Tagging allows you to identify ‘many’ persons in a group photo and helps you tagg individual faces with their respective names (and Orkut profiles). Orkut has now introduced “Face Detection” to make photo tagging process real easy. This feature will attempt to recognize faces in newly uploaded photos and help you tag them even faster. If you are not happy with specific tags on photos, you can always edit to remove them. While tagging a photo you will also see auto fill suggestion box. As you type name of a friend, this feature will popup probable names that you may want to use by scanning your friends lists making the photo tagging process more quick. As pointed by Orkut blog, face detection feature will be rolled out to everyone in next few days and should work on newly uploaded photos. How to add tags to Orkut photos? Open any photo page on Orkut and click on “tag a friend” link at bottom right. Using mouse select the face of your friend and then add his or her name. 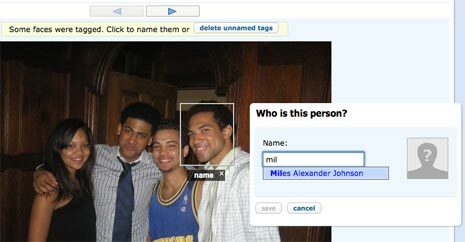 Face Detection will select friend’s faces automatically and you just need to enter tags which is further made easy by AutoFill feature.